Openlab Workshops and SPACE Studios are excited to present a new type of collaborative workshop project. A collective of 20+ artists, designer, makers, musicians takes on the task of creating an interactive, living ecosystem of machine “life” from April-June 2011 at SPACE Studios, Hackney, London. Using pervasive technologies such as RFID, Twitter, Arduino, digital sound, and LED lighting, we will create an ecosystem of little machines that live, grow, reproduce, communicate, and die with one another, based on Conway’s classic Game of Life. Machines will need tending to by humans (“machine husbandry”), encouraging an evolutionary process of genetic algorithms embedded in the creatures. If left alone, the creatures will die of neglect and loneliness. By interacting with this small slice of digital ecology in a public exhibition, people can draw their own conclusions about our complex and interdependent relationship between technology and the “natural” world. Interactivity beyond Technology – Art beyond Institutions. 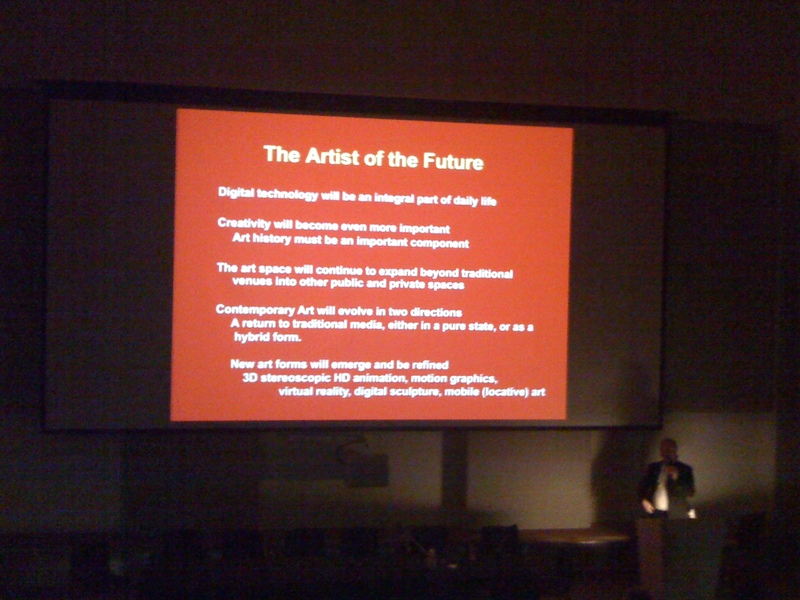 I attended the CAS (Computer Arts Society) lecture at Birkbeck with Dr. Brigitta Zics. 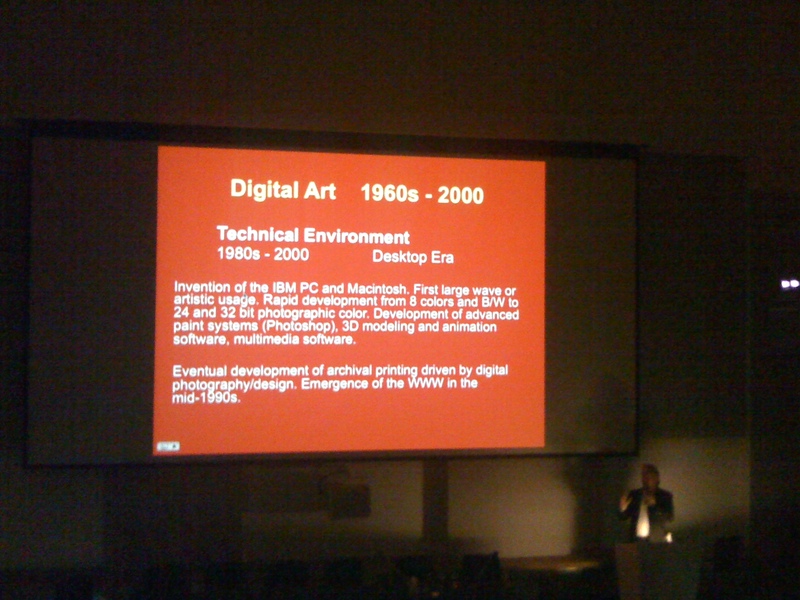 This presentation had to do with the history of Interactivity in Art & technology. Further more this splitting between the creative technologies and Interactive art exposes many of the current tendencies , in particular Opensource communities and the need to address them and to recognize in them some sort of place in this dialogue. The creative technologies use technology as innovation, they react are driven by emerging trends. They are the inventors. Interactive art uses technology as way to produce meaning : where creation is the process whereby the participant through her interaction with the system and its content acquires novel meaning. These inventors are artists as well and follow an aesthetic trajectory. 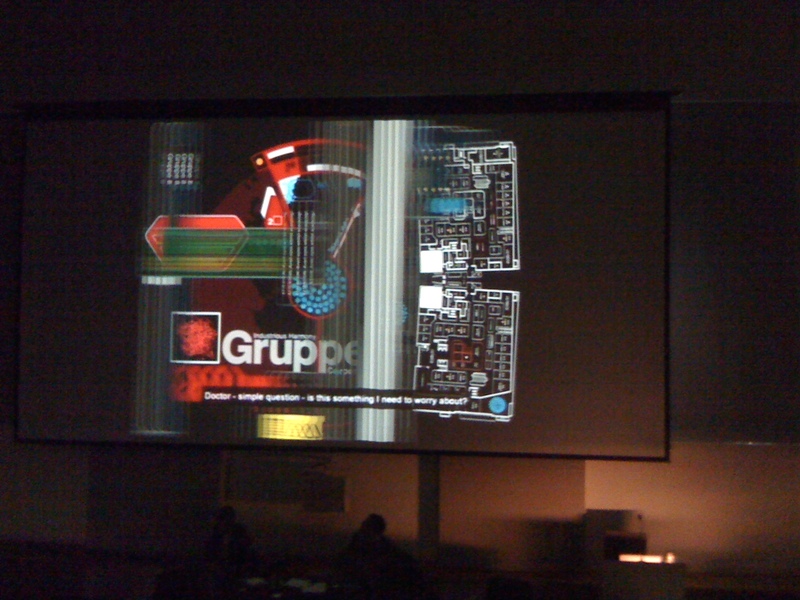 Display and distribution: expensive; mystification of technological qualities (people in institutions are not trained for this kind of technicalities; the artist normally struggles to provide for clear easy to follow instructions because the nature of the project is itself complex otherwise it wouldn’t be relevant). Accessibility of the spectator’s aesthetic experience: how can we document that experience? It is definitely something much more difficult to sell than something that can be measured and contained. 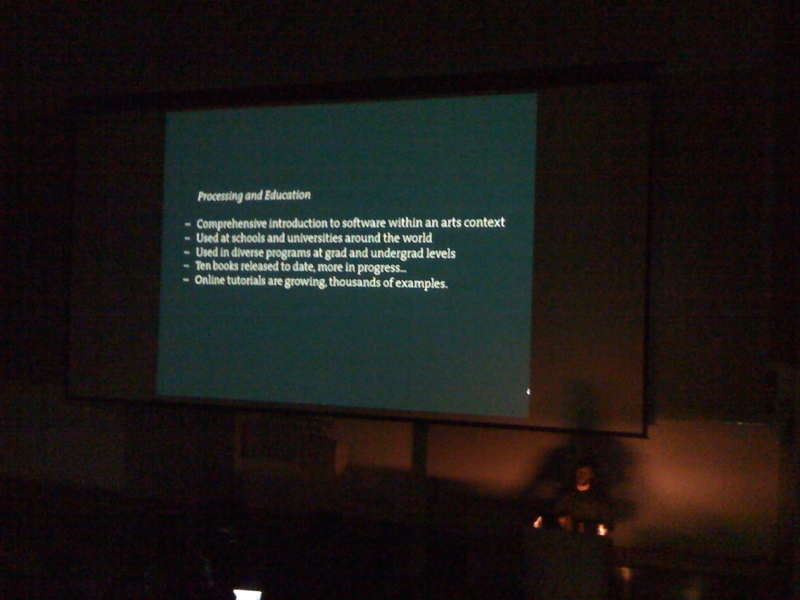 The issues of Documentation, Archiving and Preservation (technological revision at the exhibition and beyond) are particularly fascinating and because of its recent history, it feels like this subjects art the same time explored and questioned through academic research and at the same time are being dealt with in the art industries.Media Art archives like Gama and Rhizome are certainly good examples of this. 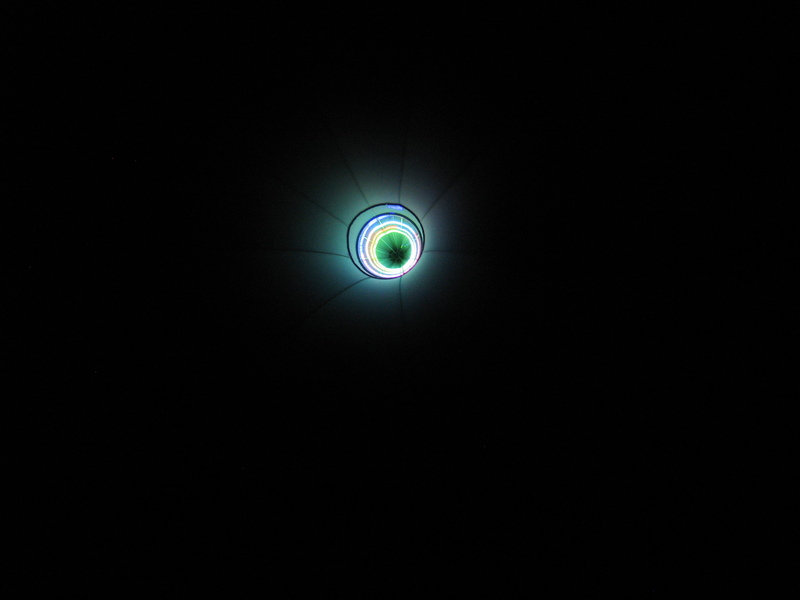 As well as ArtTube: New Media Art and Creative Technology Collection. The need for new approaches in Curation , new strategies that understand these different practices and that acknowledge the changing character of artists and the place of the inventor and what comes from this. A New aesthetic that allows us to recognize new qualities in human experience that go beyond the technological dimension into new forms of experience and artistic practice. or do tensions still exist? >> Victoria Bradbury is a new media artist mixing anachronistic forms and new devices. She weaves electronic signals, code, and fibrous materials to create temporary home-spaces. 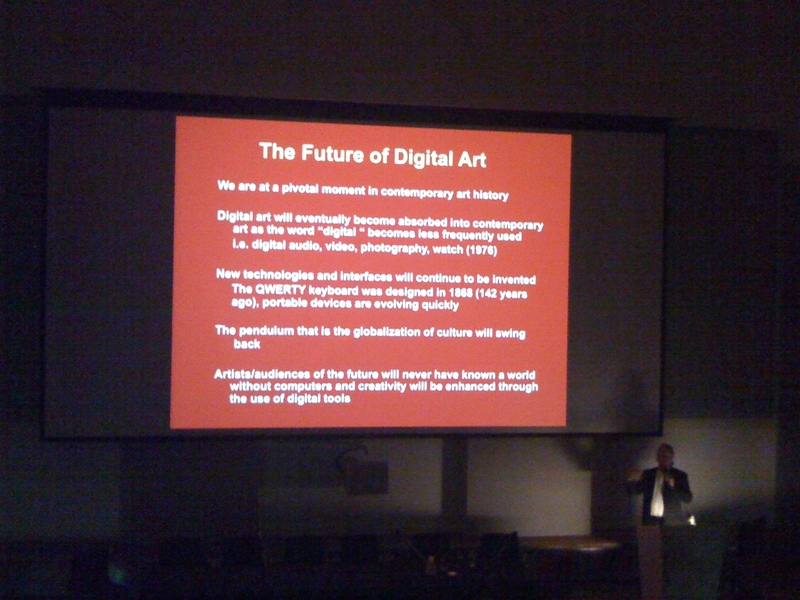 Royal College of Art, between 2002 - 2010 he was the founding curator of The Aram Gallery. 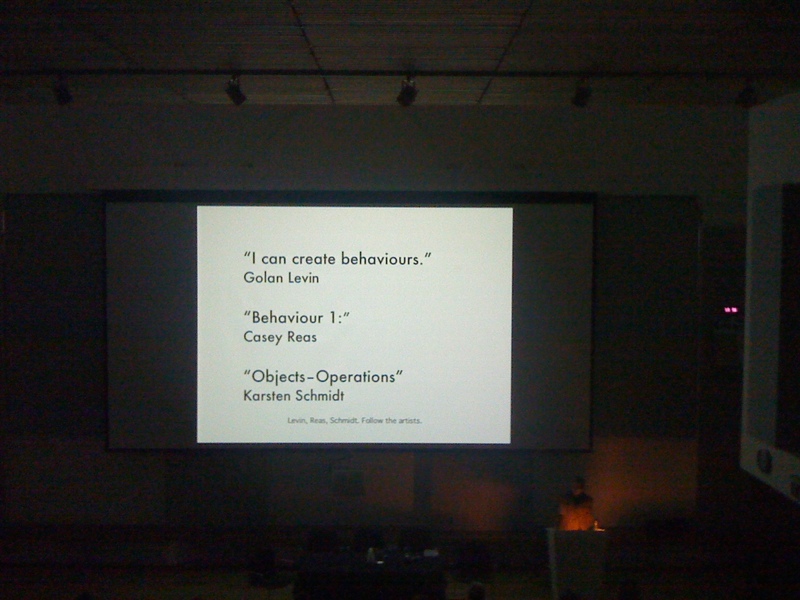 and runs the MA "Curating Contemporary Design" in partnership with the Design Museum London. Practices, is concerned with the long-term access and distribution of media-based art archives. creativity. 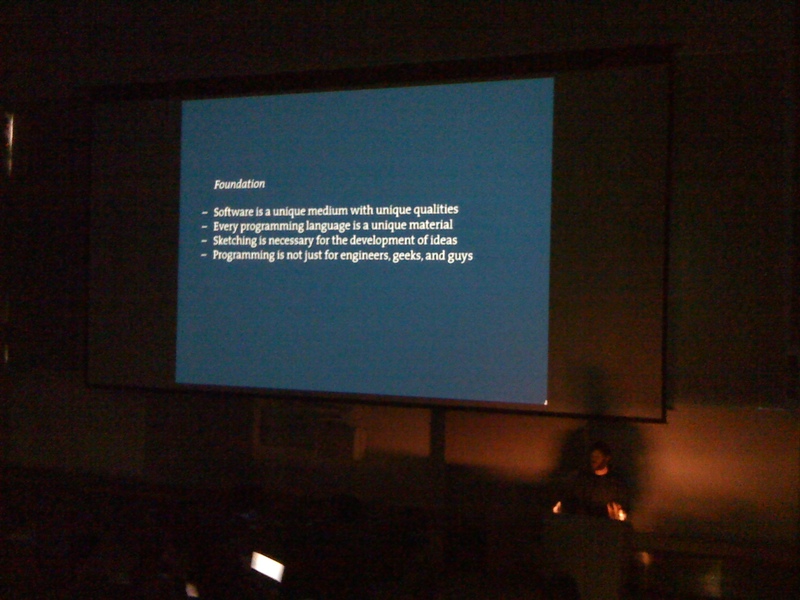 He is a funding member of the art and curating collective KERNEL. My name is Eleanor Clayton and I'm Assistant Curator at Tate Liverpool. pleased that  this sort of discussion is taking place around it. Nam June Paik 20th July 1932, Korea, Seoul/ Studied: aesthetics in Japan; musicology&philosophy in Germany; Composition with Wolfgang Fortner .More about his life in this nice blog, theaegon.wordpress.com. Audio Guides of the exhibition at Tate Liverpool. Public/Private | Institutions: A Time of Crisis – and Opportunity? I liked the rawness and the justaposition of graphics with footage and photography. freely.He expanded on advertising and it's invisibility andmanipulative character. Looking at his website I got particulary interested in the sketchbooks and drawings. processing and of its role in Education. making use of common language text instruction ( as opposed to code ). to platforms, installations, services and systems. where you practice. 'The design task these days is to design the process'. ugly, music and visual, and how there's a power connection between them. activities . Last fridays or Friday late is good to keep in mind and attend. 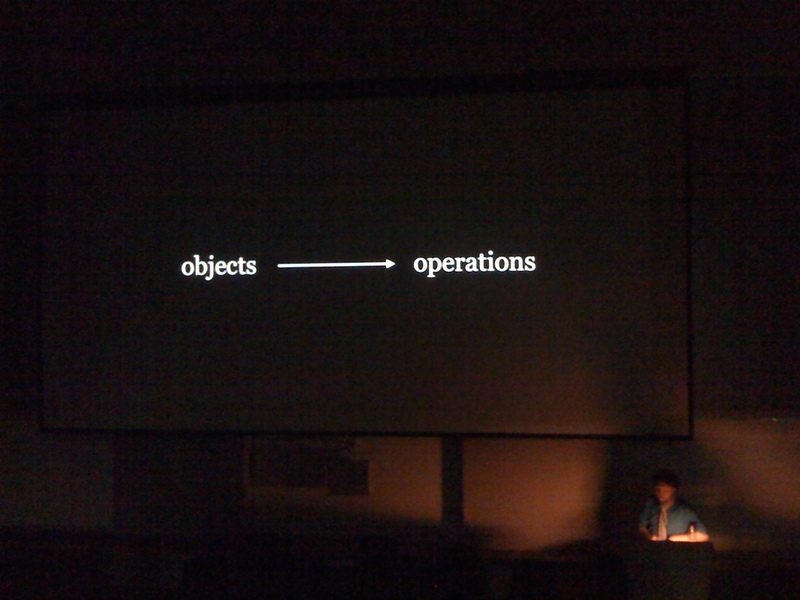 Shane walter from Onedotzero followed talking about hybrid and cross-media. were refered like Tomato, Fuel and Antirom. big events that stand on the fact that it's not a london show that goes to another city. concert installations (George michael) that use generative responsive software. online project where people/ users have to work together to interact with the software? Would it be as rewarding as shifting a big block of wood ? 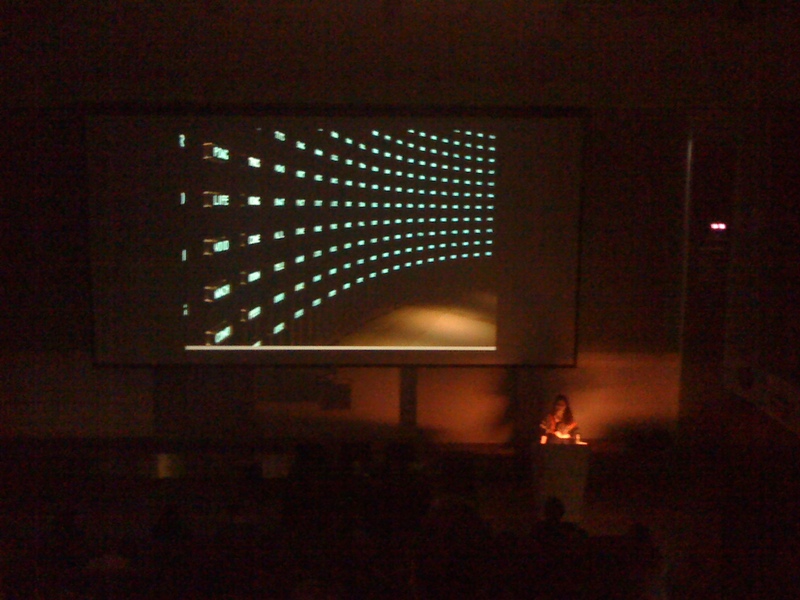 Hanna Redler, contemporary curator gave an eloquent speech on I Heart Code. Arts agenda and showed some artists' works. 'I believe it's important that young artists create and manipulate the software. Focus on immersive virtual environments. and cultural climate. By the end all the speakers gathered up had a bit of a chat, with the audience. the day and expressed their desire in having as much feedback as possible. regard Media arts, as well as eternal questions such as 'what is art?' . My questions through out the day related to mass culture, open source and entertaining. commercial aspect of contemporary art makes it all seem fake. Entertainment. Mass Consumption. Pop. QUantity. More. ( long dead ) is now a fetish and a tabu .